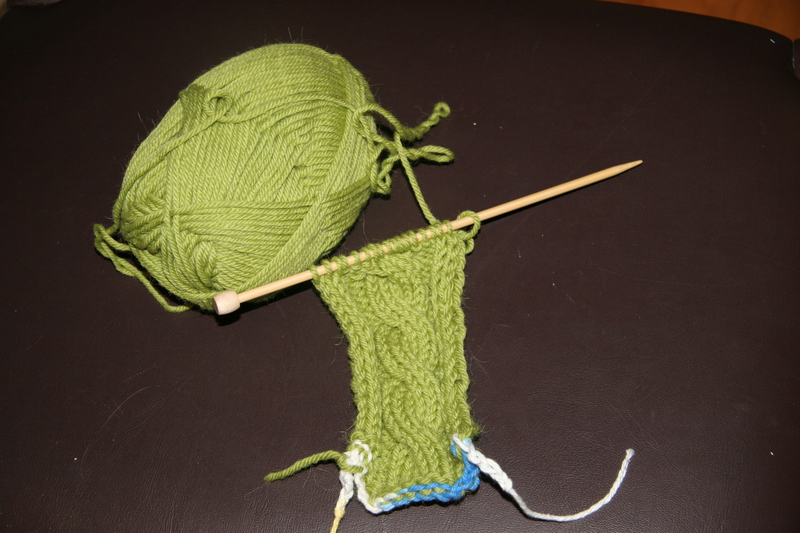 Hail hail, Knitting on 3.14! 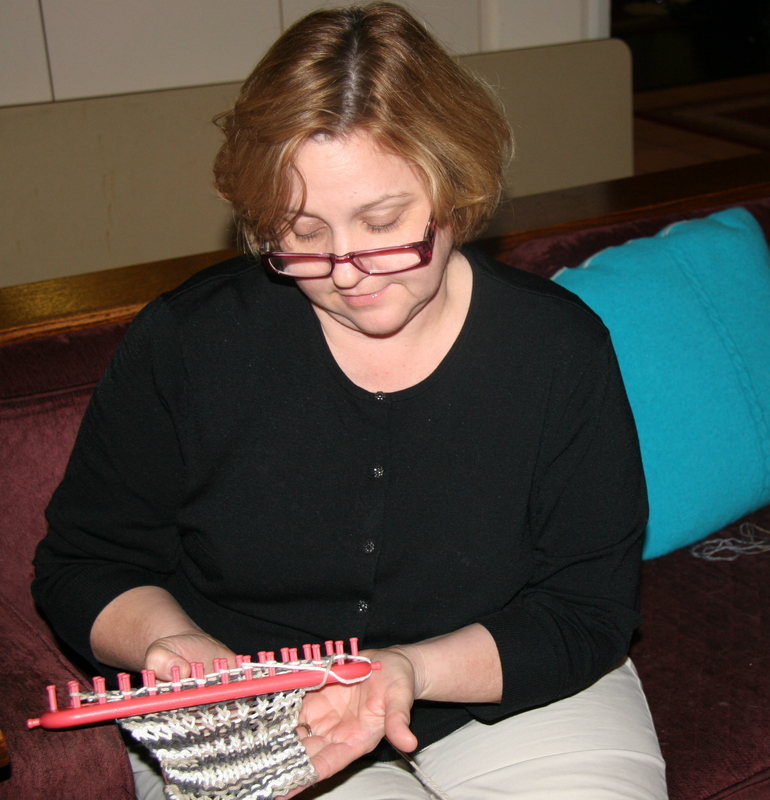 Wednesday Night Knitting kicked off with a bang last night! 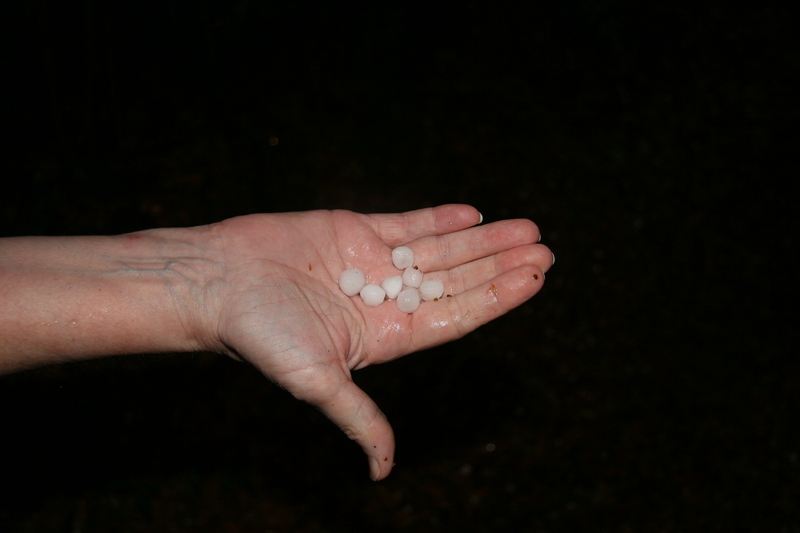 After everyone arrived, we heard the rain beginning to beat down on the skylights, then hammering in a crescendo that became clattering, then crashing, bashing, booming! 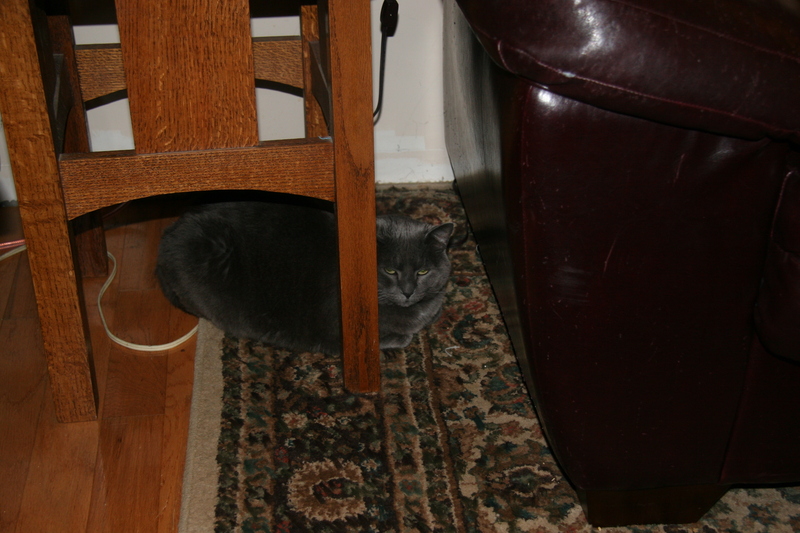 Stella streaked from the back porch to her hiding place under the tabouret. 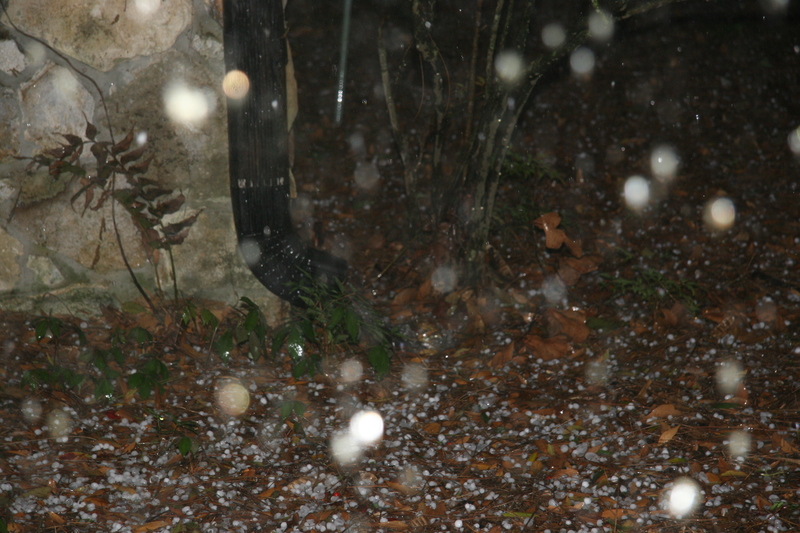 I went to look out on the back porch and Deb opened the front door to find this! the temperature at the time was about 70 degrees F.
And then Mother Nature calmed down quite a bit, so we went back in and knitted. 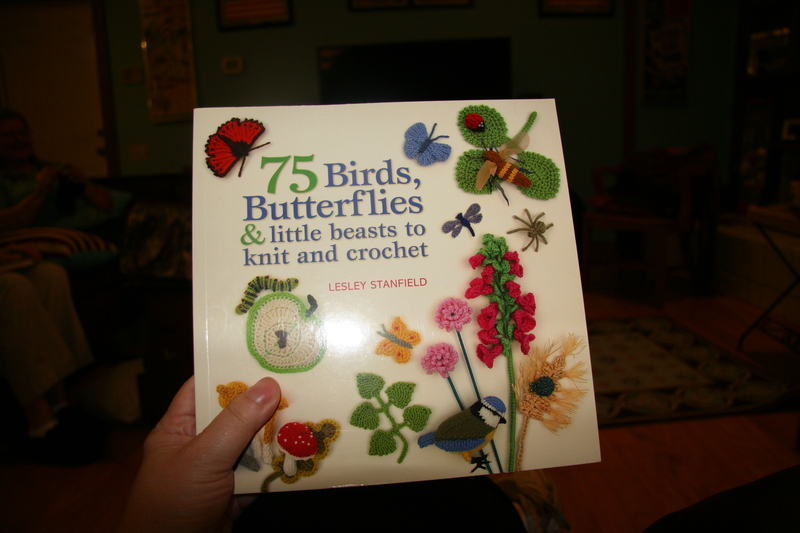 She brought a charming little pattern book for birds, butterflies and beasts. I’m not usually drawn to amiguri or toys but these look irresistible. 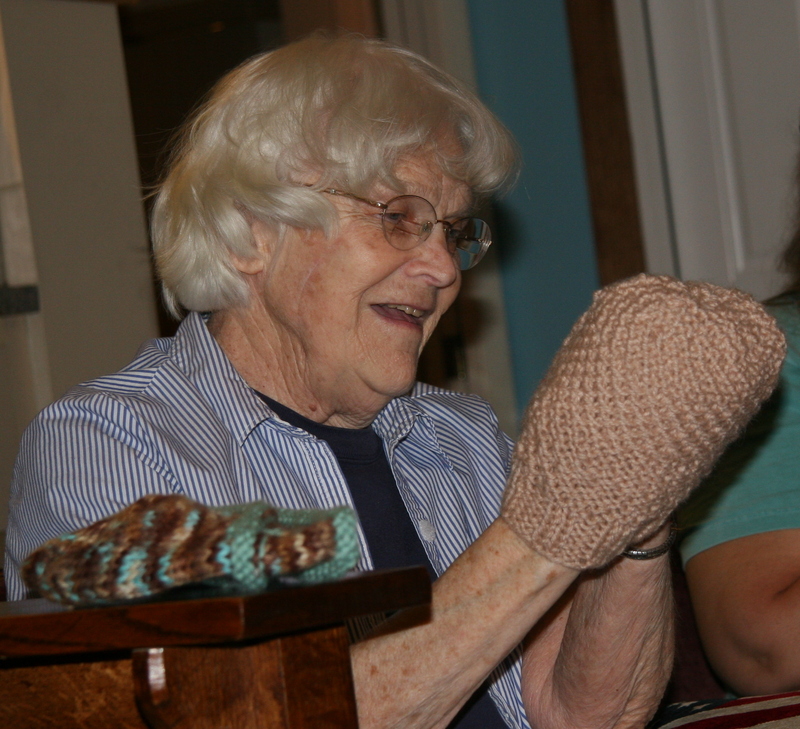 Ethel brought out the sweater she’s been working on. She says the DVD that came with the pattern has excellent instructions on how to decrease at the sleeves, without leaving those annoying little holes or gaps. 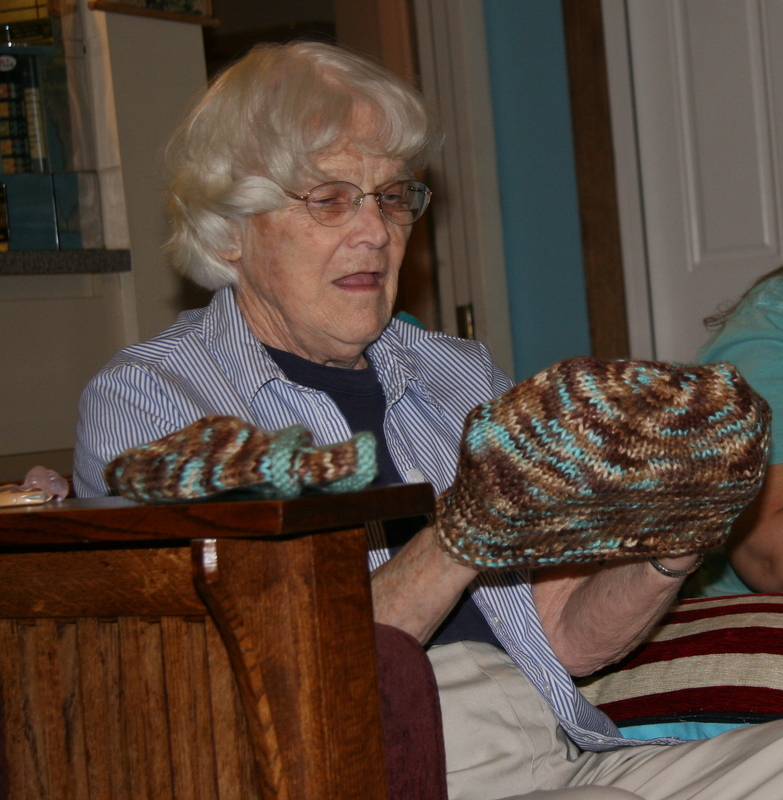 Lois has found an outlet for her happy hat-making mania, a knitting group at nearby Atrium. 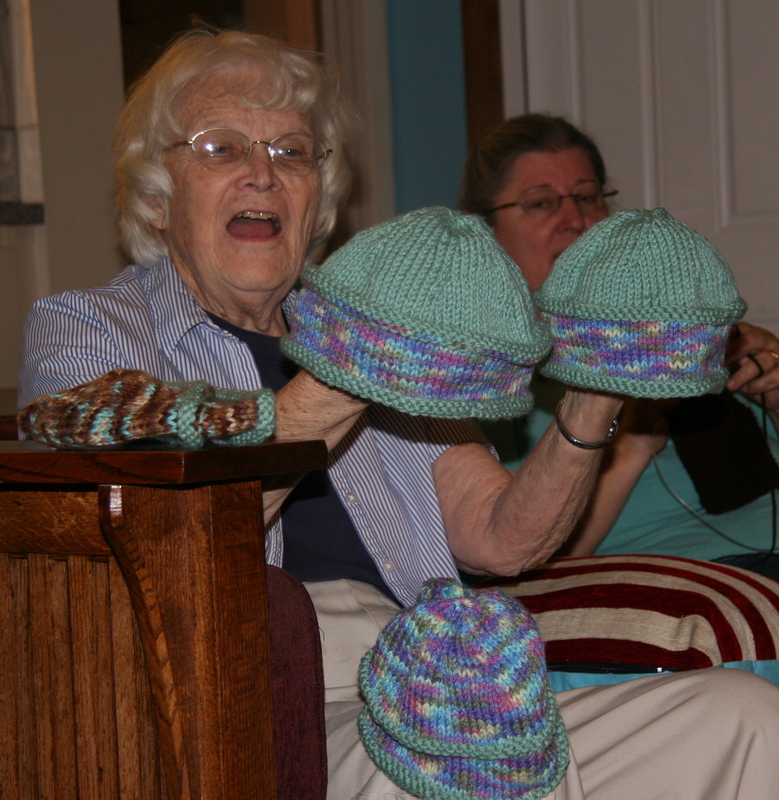 The members of that group make hats for infants, for adults, for chemo patients–and Lois has made many in the past week or so! We liked the green-top ones! 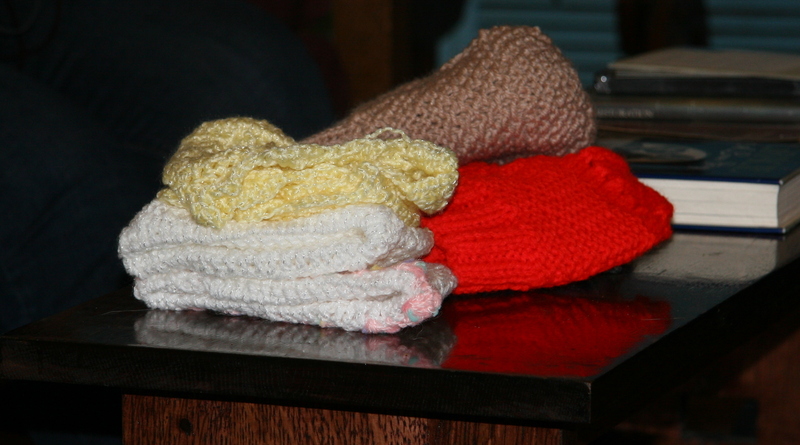 the hats were piling up, just a few days of Lois' work! Teresa worked on (of all things!) a mane. Yes, a horse’s mane. For awhile, it looked like a simple rectangle she was laboring over, but then she unraveled part of it and presto! 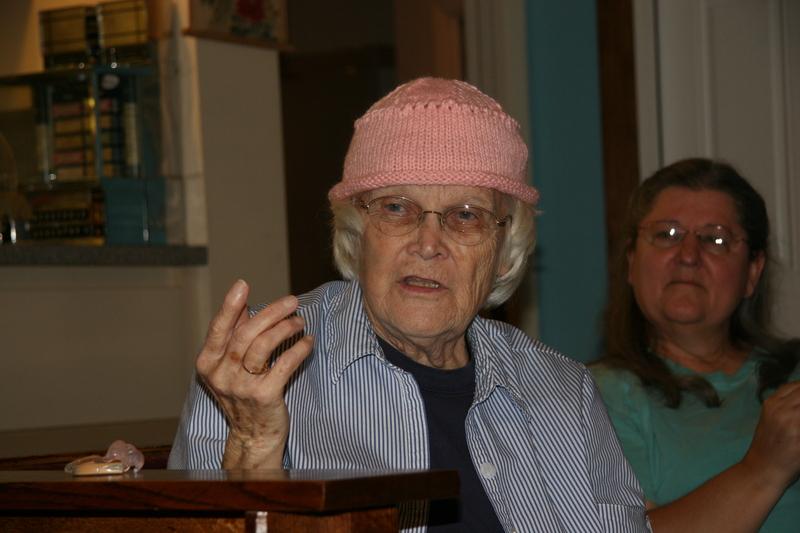 Ethel and Deb could see this same technique, on a larger scale, for fashioning a hula skirt. 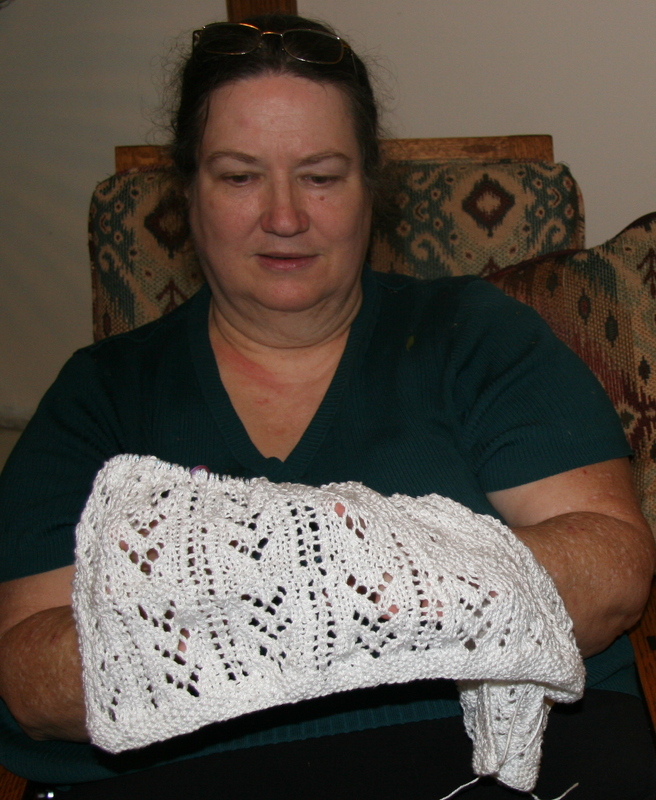 Deb has done at least one repeat of pattern on her beautiful, soft, glowing white pima cotton baby blanket. 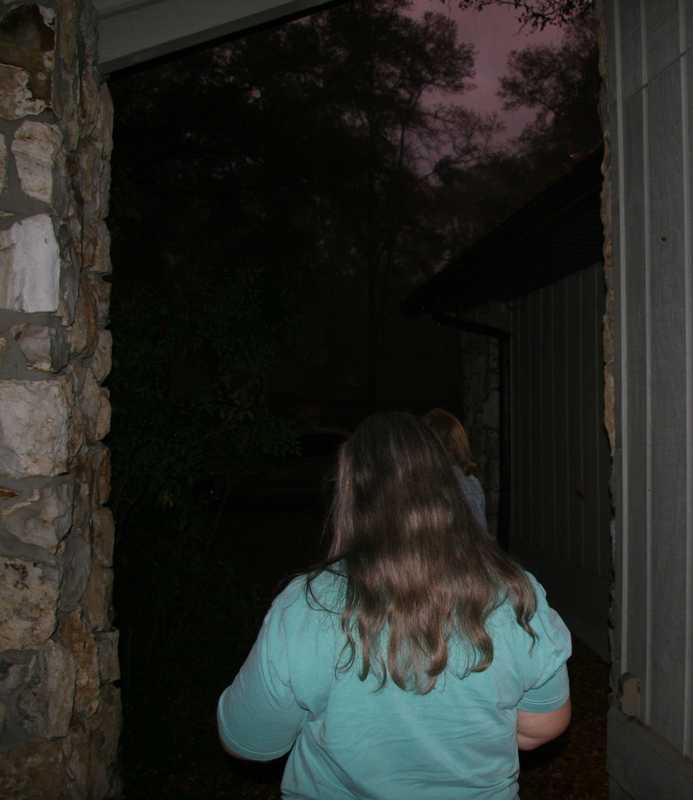 For some light refreshment, we nerds had mango key lime and chocolate cream pie to celebrate PI day, 3.14 (2012). A merry discussion ensued in which some of us declared our fondness for math and science: for some it was straightforward love of the subjects, and for others it was love of just the “art” component of them! Watch out, they have needles! Wednesday Night Knitting started off slow. Again, I had nothing to show for the week, since my project kept coming out WRONG and I had to rip it, rip it, rip it. 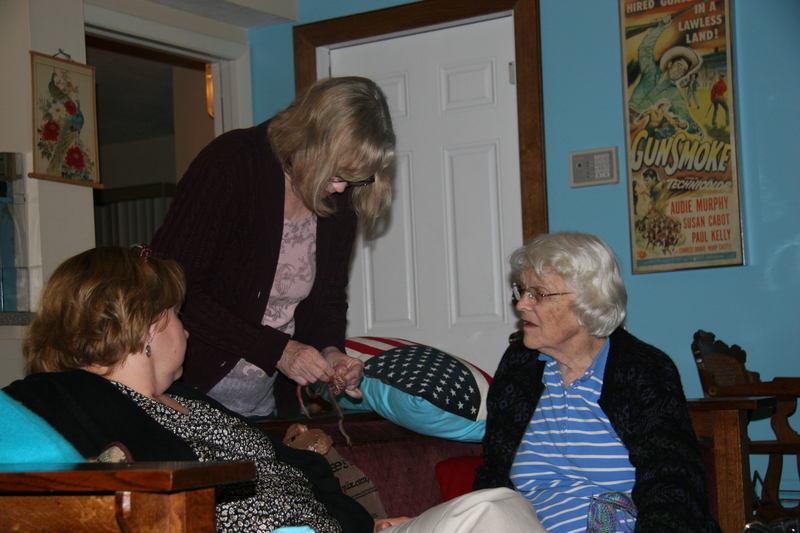 But when the knitters came over, things began to get better and better, and by the end of the night I was floating on a cloud of knitting confidence and hope! 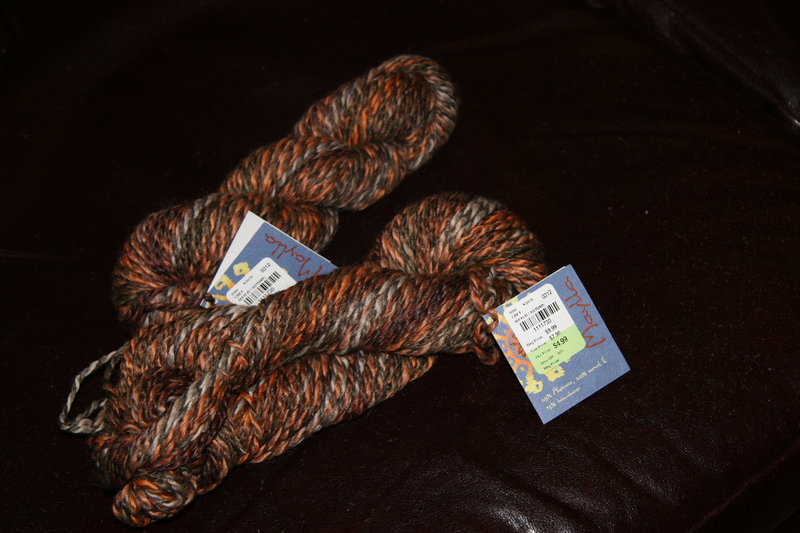 Ethel brought me a “hostess gift” of 2 skeins of Maylla Peruvian yarn in alpaca, wool, and bamboo blend. “Not my colors,” she said, “but they are yours!” Hmm, remember those Color Me Beautiful parties people used to have where you draped the silver or gold scarf across your shoulders to see if you were a “warm” or “cold” color personality? 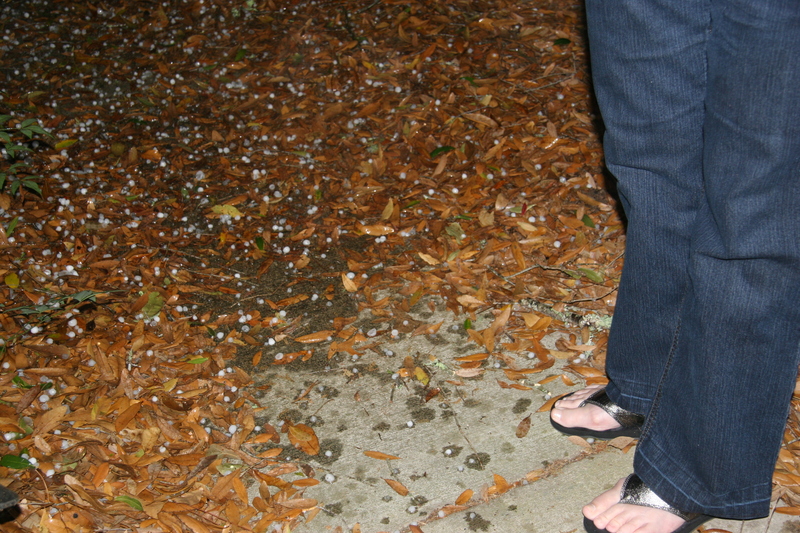 And then you were one of the 4 color seasons and yep, I was dubbed Autumn. The yarn label says maylla is a Quechan word meaning wonder, abundance. I found this site with some lovely, artisan apparel Peruvian fashions for spring to ponder, check it out! Oops, I digress! 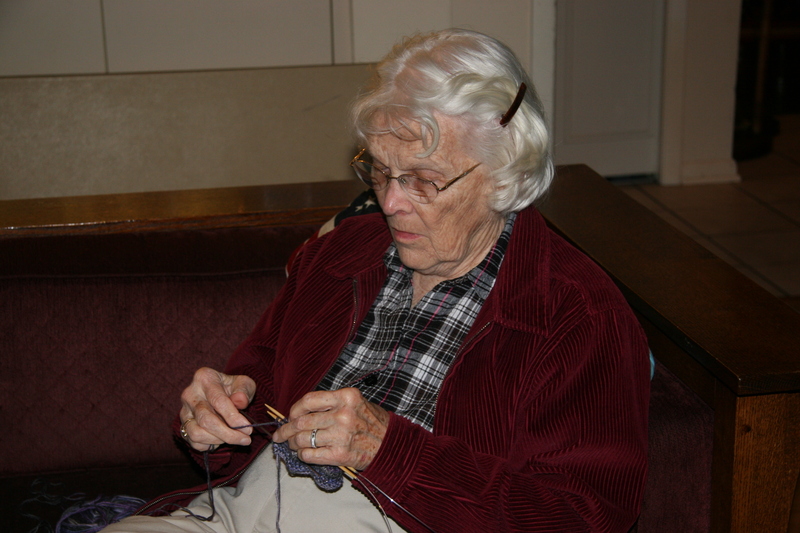 Ethel also brought along some double-pointed needles in a size 4 and some other knitting paraphernalia she’d scored at Tuesday Morning. Treats for the taking, thank you! 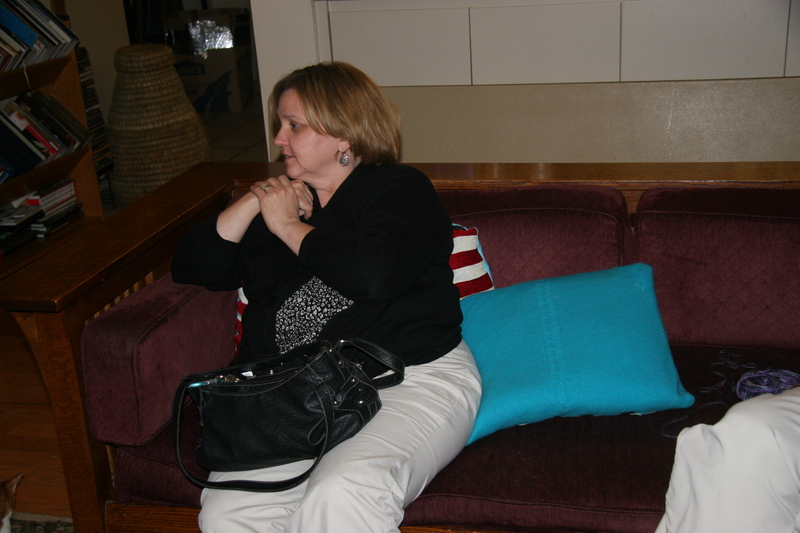 Then Lois showed up with some chocolate! My mood was improving all around. 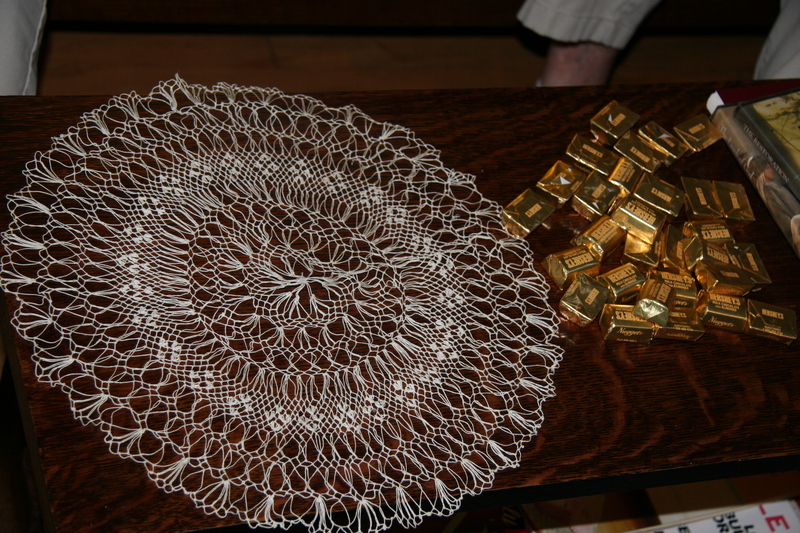 Lois showed a hairpin lace doily that possibly her mom had made. 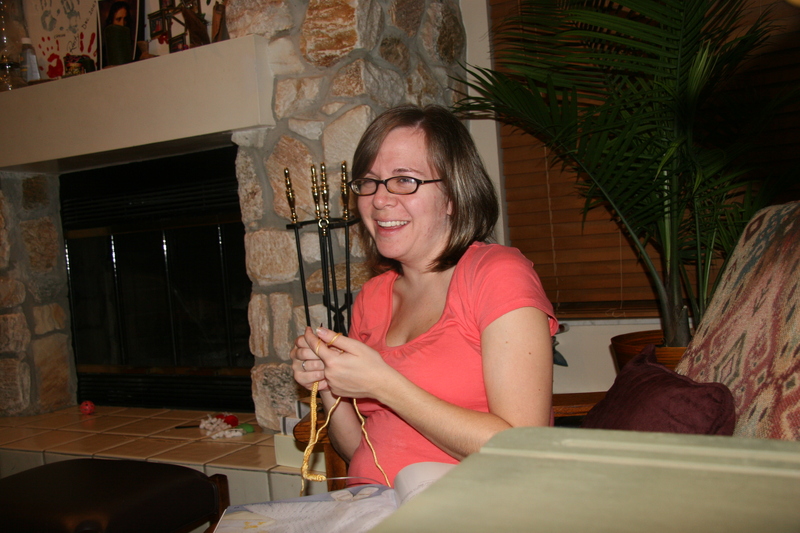 Tina came with a loom project; we were happy to spend what few Wednesdays we may have left to associate with her before she moves to North Carolina. Her husband was chosen as president of a small college there, a great career move for him! And it’s exciting to talk about how when she gets to her new home, she will only have to travel a few hours north to get to DC, a few hours south to get back to FL! And the beaches! And the mountains! 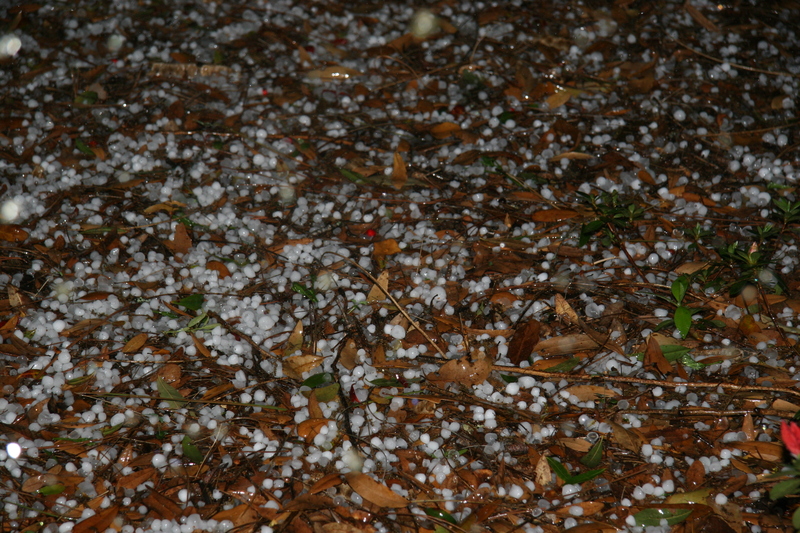 Tina, you will have to round up some knitters in NC and start a new group. 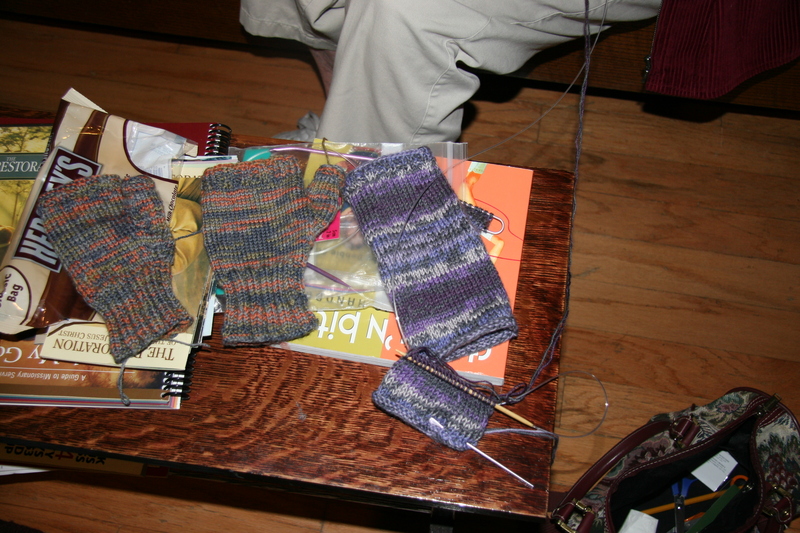 Lois is making fine progress on her fingerless gloves! We were also thrilled to see on Facebook that one of her Fair Isle hats was in England this week for spring break, on top of Lori’s pretty head! 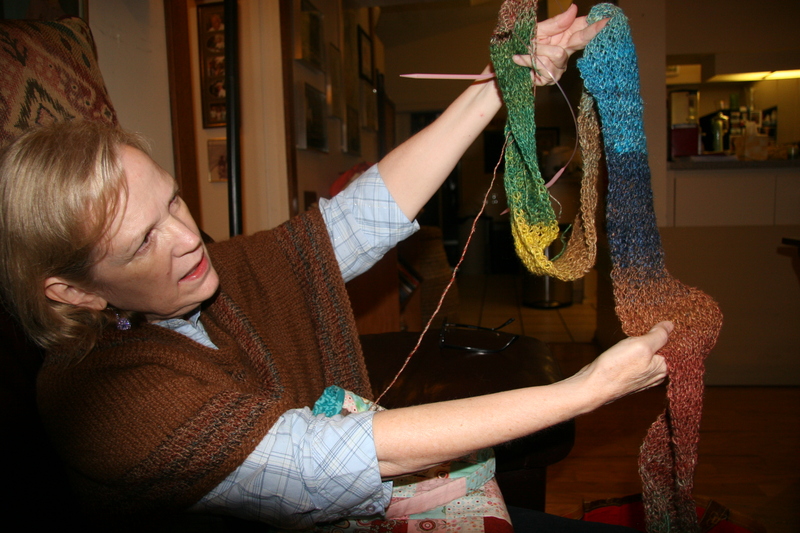 after having sought collaboration with the staff at Yarnworks to find a match for the alpaca she started out with. An excellent match, don’t you think? We believe that in time, whenever one looks up “poncho” on a Google search, up will come an image of Ethel pulling a face. 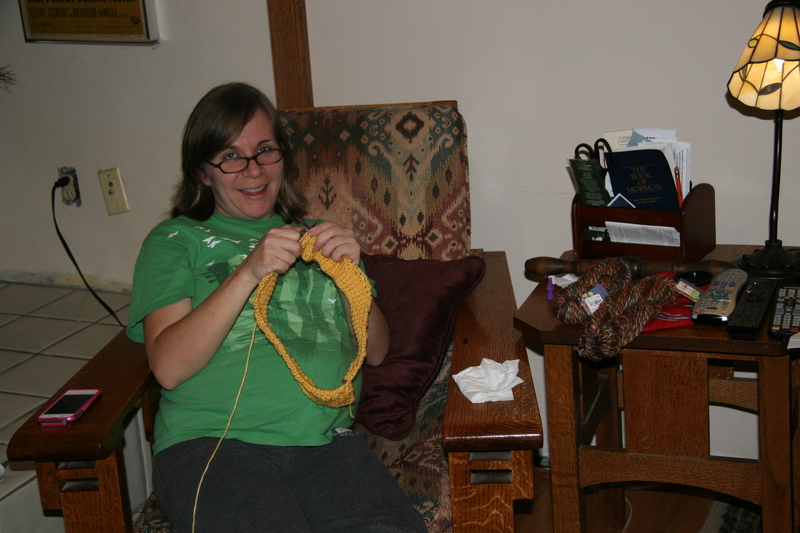 Tiffany also made fine progress on a soft yellow blanket, finishing a border and starting on a lacy pattern within the border. Finished at last with my very first pair of fingerless gloves; now to find a recipient for them [picture me scanning the virtual audience out there for someone who looks like they might have cold hands.] 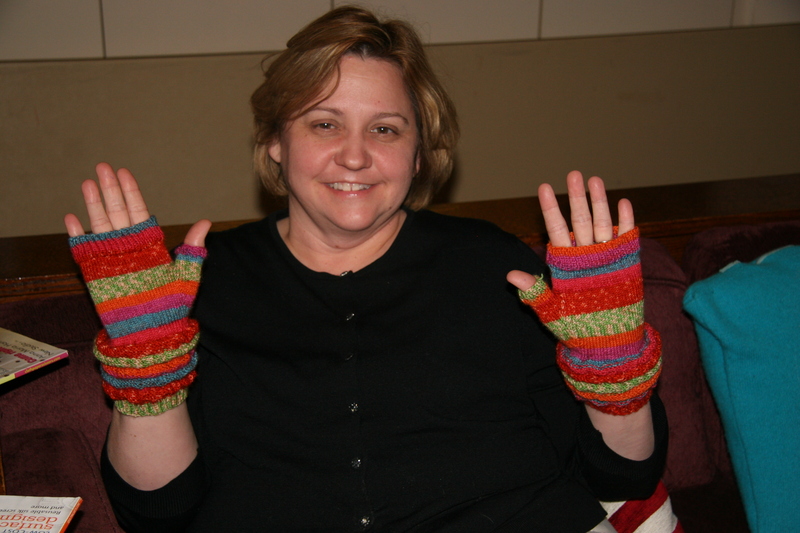 Here’s a pic of Tina modeling the scrunchie gloves from the pattern in Designer One-skein Wonders. Flush with success from the mitts, I’m starting on a new pair for Gus, to match the Kathmandu tweed set I gave her for Christmas. Thank goodness these are knit with size 7’s instead of the horrible size 1’s. And I just happened to find a size 7 9″ circular needle in my needle stash, remarkable! The 9″ circular needle is an innovation I never want to do without. 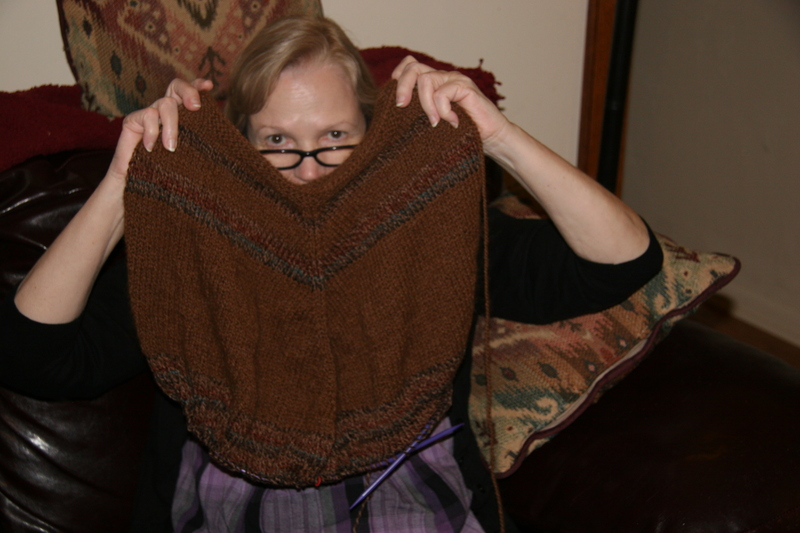 I would be a basket case trying to knit these narrow things on dpn’s. Check out this wonderful link to the world of the “trendy chale” from alex at zigo-zago, another knitting blog that I love to follow! You too, will feel the need to have your own trendy chale (for the one day a year in central Florida when we happen to have cold weather) after looking at this gallery! 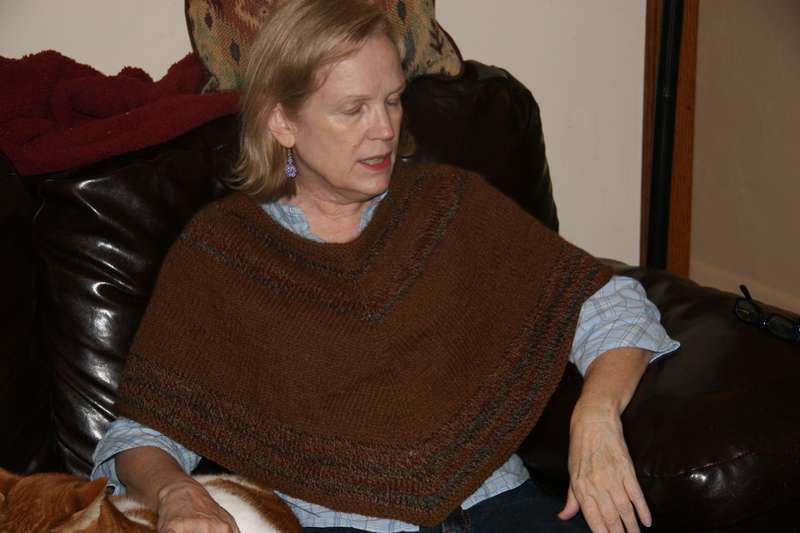 Here’s a free pattern for one from ravelry if you like! 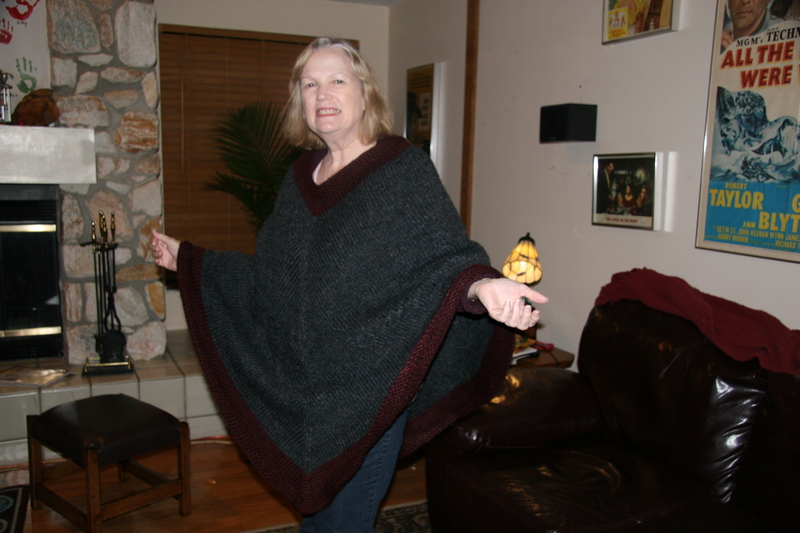 Ethel worked on the poncho some more. 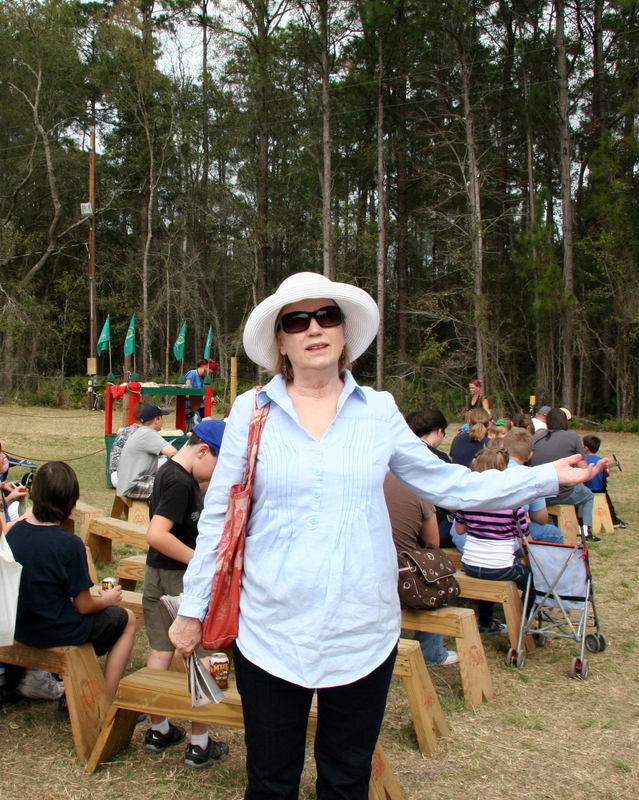 We recalled our recent sojourn to the Hoggetowne Faire and its aftereffects on our digestive systems. 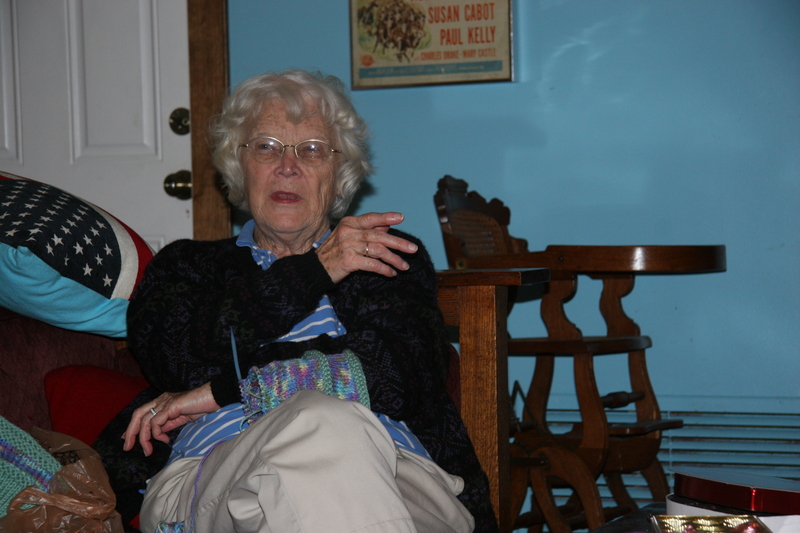 Ethel brought some Honey and Ginger fudge to enjoy, which we did, along with meringues, rugala, and some Ghirardelli chocolates from Tiffany. Ethel mentioned felting some hearts, so maybe we will see them next week on the day after Valentine’s Day? 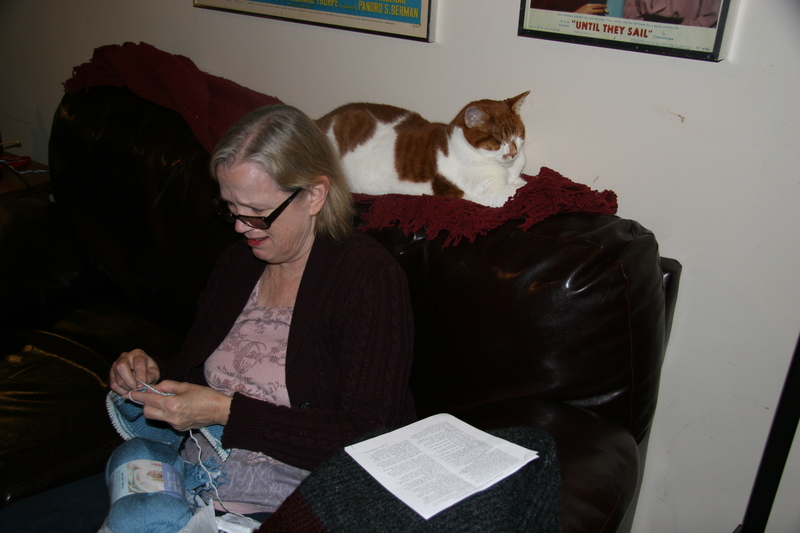 I saw some really charming ones in an email from Interweave’s Knitting Daily. Tiffany worked on a new (really, we were amazed, too) afghan for one of the babies, from the same Leisure Arts baby book that Debbie brought last time. 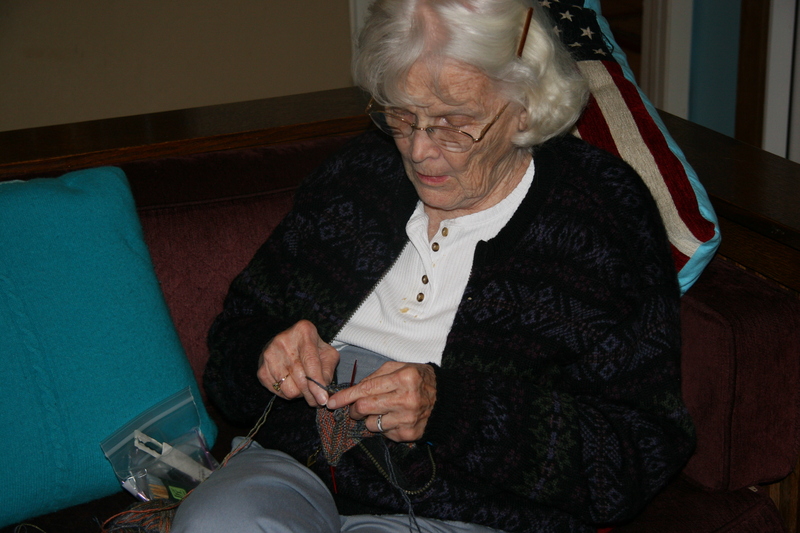 Lois worked on her gloves one at a time, having given up on the magic loop for now. 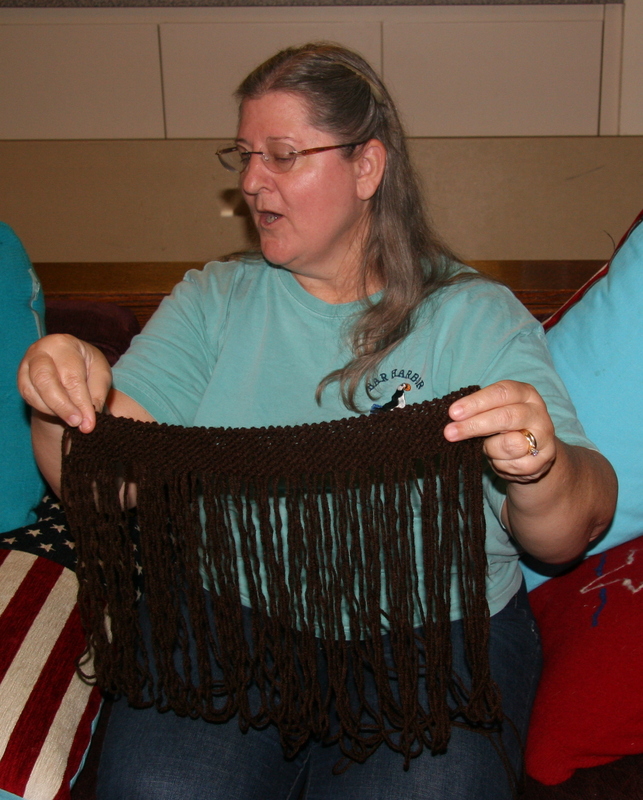 And Tina tried out a potential project on a flat loom. 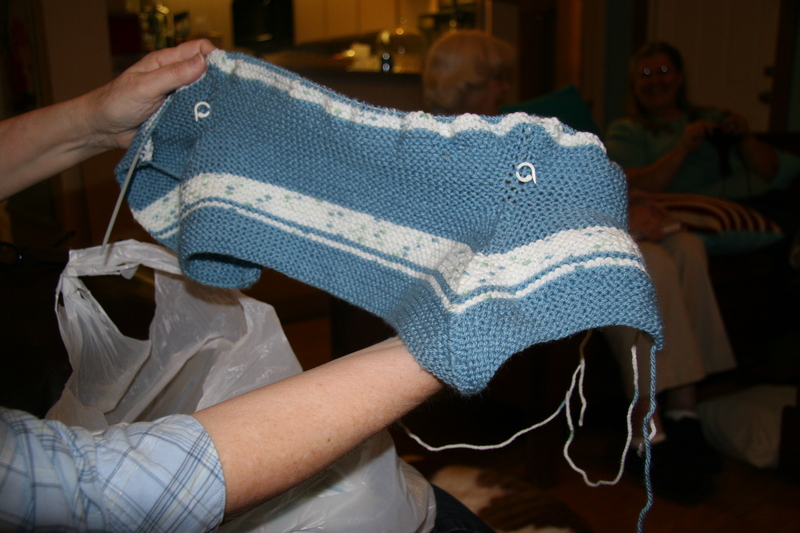 She turned her real project for the past week, another cardinal-motif wash cloth, into a gift for a cherished recipient.